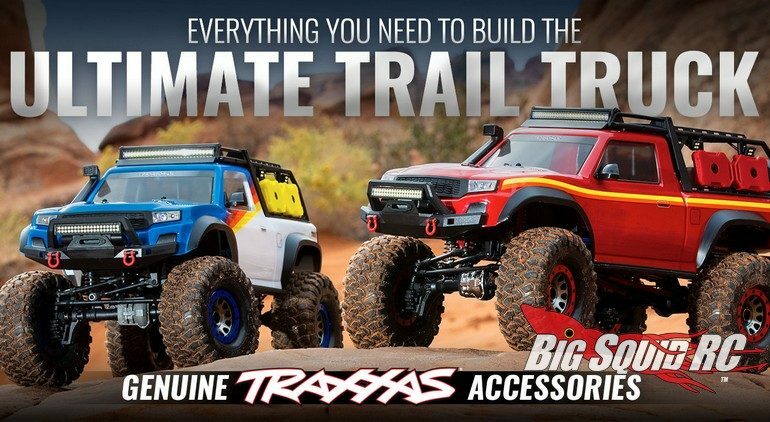 New TRX-4 Accessories And Aluminum Upgrades From Traxxas « Big Squid RC – RC Car and Truck News, Reviews, Videos, and More! Are you ready to start upgrading your TRX-4 yet? If so, Traxxas has announced a full line-up of Scale Accessories & Aluminum Upgrades for the TRX-4. No matter which version of the TRX-4 that you own, Traxxas has compiled a large list of upgrades to make your TRX-4 truly your own. From lift-kits, to high power servos, to aluminum suspension upgrades, the crew at Traxxas has been hard at work coming up with the perfect upgrades for your rig. To check out all of the Traxxas TRX-4 Accessories And Aluminum Upgrades, simply hit up the link. Also, you can click Right Here to read more Traxxas news on BigSquidRC.